Our philosophy at Hastings Irrigation Pipe Company has been not only to develop high performance products, but also to find better, improved ways of using these products. Innovation in manufacturing equipment and techniques are the reason behind the quality products that Hastings Irrigation Pipe Company produces. Constantly striving to improve quality assures our customers they will receive products that give maximum performance year after year. For 68 years, Hastings Irrigation Pipe Company has logged experience in design, manufacturing and distribution of light metal products. From our beginning in 1949 in a small garage in Hastings, Nebraska, we produced metal products that met the needs of our customers. We started producing products from light gauge steel, stainless, and aluminum when it was a relatively new and exciting light metal. Today, we offer 220,000 square feet of manufacturing space in our Hastings, Nebraska plant and we also have a pipe plant in Madera, California. Over the years we have marketed many light metal products world-wide. Many of these “specialty” products have set the standards for their specific use. The variety of products we manufacture continues to expand and is limited only by the imagination of our customers. We have shipped products to all 50 states and over 270 foreign countries. At Hastings Irrigation Pipe Company we have worked hard to develop high performance products and also to find better, improved ways of using these products. Proof of this company philosophy can be seen in the many various industries that have utilized our ability: agricultural, architectural, construction, electronic communication, energy/oil, marine/boating, meteorological systems, trucking and tube mills. We will continue to look for new industries to serve where our capability to design, blueprint, cast, prototype and produce anything dealing with light metal fits the need of our customer. We are willing and ready to offer our services at any state of development, but feel our real strength is in the complete package – design through production. Involve Hastings early and reap the dividends. Hastings Irrigation Pipe Company is a member of The Irrigation Association. Paul Hohnstein, the founder of Hastings Irrigation Pipe Company, was named Nebraska Entrepreneur of the Year in 1995. 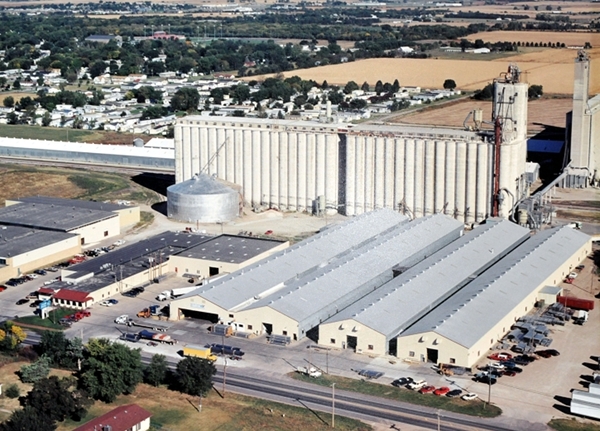 On September 12, 1997, Hastings Irrigation Pipe Company received the Outstanding Nebraska Industry Award presented by Nebraska governor, Ben Nelson. This award was in recognition of the important contribution to the economic base and economic stability of the state of Nebraska through the company’s successful history.